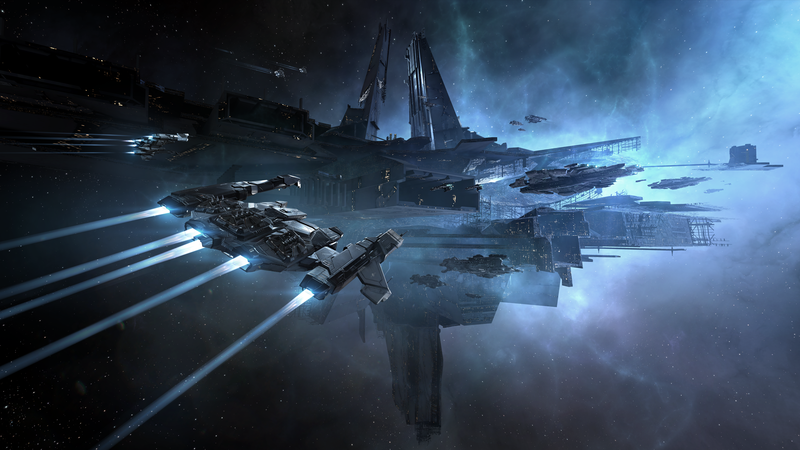 Anyone who has frequented Black Rise, Placid or Lonetrek lowsec in the past few years will know that, in the Caldari – Gallente faction war, it’s the Gallente Militia that has been predominantly on top for years. GalMil alliances have at times even resorted to challenging powerful pirate groups such as Snuffed Out or Shadow Cartel out of sheer lack of opposition in Faction Warfare. However, over the past few months a few additional corporations with battle-hardened pilots joined to bolster the old core of the CalMil coalition and, as a whole, it seemed to be getting its act together for the first time in years. In fact it was just a few weeks ago that CalMil surprised friend and foe alike when they captured five systems in one day and pulled themselves back up to Tier 2 – an important step in the ISK war. Then, on September 26th, the Gallente mounted a Blitz attack on Okkamon, one of the major CalMil home systems. Over the next two days the two warring factions would lose over a thousand ships, ranging from battleships to cheaply fit Atrons, with over 800 pilots being involved in total and losses rising to 6 billion on the Gallente side and 12 billion ISK for CalMil. Of course, various lowsec entities showed up to “third party” on the content. 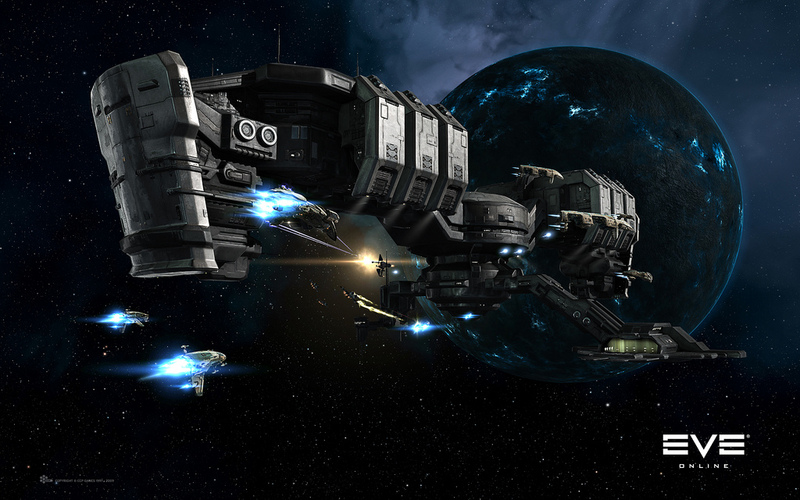 On the 28th, after a siege that lasted only two days and despite fierce opposition from the united forces of the Caldari Militia, Okkamon was captured by the Gallente. The fallout was significant. Amplified. [AMPD] alliance led by Glitch Lampshade of Distortion [DISTN] lost its home system and just hours later it began to disband. 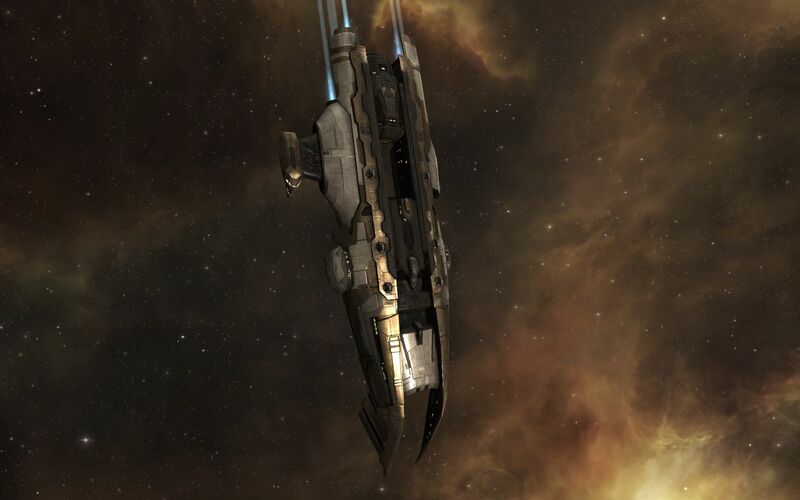 Some corporations left Factional Warfare for nullsec, others went full pirate. One of the new powerhouses of CalMil had been beaten so badly it “failcascaded” and the CalMil coalition is much the weaker for it. We interviewed some of the main participants in the Okkamon Blitz to give you a better picture of how a major home system for a CalMil alliance could be overthrown so quickly, and what this means for the state of the Cal-Gal warzone. Crossing Zebras: Thanks everyone for agreeing to participate in this interview. Let’s start by introducing the home team here… Glitch Lampshade, go ahead. Glitch Lampshade [DISTN]: I was actually in GalMil first – I started out in the GalMil corp Moira, because I wanted to join one of my real life mates. Outgrew Moira quite quickly and decided to start my own corp… We did pretty good for ourselves, went into piracy, spent some time in nullsec, was in Snuff, good times! Then in March this year we joined CalMil. That’s also when Amplified as a militia alliance was born. We tried to do things a little differently than CalMil has been doing things recently – running more united fleets, pushing for more focus on PvP. Myra Stark [BLOC]: I’m the CEO of BLOC (ED: Mjolnir Bloc alliance) in the CalMil coalition, and I’ve been in CalMil for three years now. MantelGlobalIndustries [HECON]: I am a member of the Heiian Conglomerate Alliance and have been with CalMil since Christmas 2014 when I signed up with I-RED (ED:Ishuk-Raata Enforcement Directive) I may also be slightly bitter by the recent turn of events! CZ: On the Gallente side, we have quite a number of leaders who took part in the attack and – perhaps even more crucially – the build-up towards it. Talking to us today are: Roy Henry, CEO of Black Fox Marauders [BLFOX], Yuri Antollare of Justified Chaos and military director of the Spaceship Bebop alliance [BEBOP], Kontraband Venning of XMETA, also in BEBOP, Peldar Aldoras, director of The Vomit Comets in Villore Accords [GMVA], and Fenris Dallocort, also of The Vomit Comets. So, first question! What’s your view on the comeback of CalMil in the weeks prior to the battle for Okkamon? How did you all perceive that? Myra Stark [BLOC]: As a coalition, we had decided to take ourselves to Tier 2 in early September and it had an immediate effect. In fact the impact was greater than we expected. It was probably a result of GalMil having held T3 for the summer and the depressed value of Gallente LP that resulted from being at T3 for so long. 90% of the change in system control was a result of CalMil farmers cashing in. The active PvP corps tended to show up for the last few percentage points of vulnerability and to bash the IHub. So despite the significant change in warzone control, we in CalMil all knew that the real balance of power between GalMil & CalMil had not changed. They still had more active PvP pilots than CalMil. Yuri Antollare [BEBOP]: Well, Squids had been building momentum recently, in the weeks leading up to Okkamon they had taken six systems and formed a 100 man plus fleet to knock out one of our citadels in Okkamon. We had also fallen out of Tier 3 and systems across the warzone were going up in contested level. A little while back we had attacked Aivonen (the home of Templis CALSF) with no success… So within leadership, there was a bit of consternation and the consensus was to defend as best we could and wait for the next Squid attack. CZ: So everyone was feeling kind of excited at the resurgence of CalMil – myself included. Now when did GalMil decide to launch an attack on Okkamon? Kontraband Venning [BEBOP]: I had actually been pushing for the siege on Okkamon for a few months. GalMil had been suffering from a lack of reasons for the vets to log in, and I figured it would help, so I put out a few feelers and tried to get some people on board early. The general consensus from most people I approached was that we couldn’t pull it off… but I decided to go through with it anyway and started making preparations. Yuri Antollare [BEBOP]: With the recent fights being so even we decided in the end that sitting back and waiting for CalMil to pick the next system and have us reacting to their moves would spell disaster. The decision was made around the 21st to instead have us go on the offensive, to set the tempo and have Squids react to us. With the CalMil alliances living so far from each other (Okkamon, Aivonen, Kehjari) the thinking was with enough OPsec we could amass all of GalMil and hit one spot while CalMil would have to spend at least a day or two gathering to defend. Roy Henry [BLFOX]: The siege of Okkamon was in the works since we were able to get a citadel up about a month or two ago, and then after the failed attack on Aivonen, and the failure to defend Pavanakka, we were looking to make some gains somewhere. Fenris Dallocort [GMVA]: Absolutely. Pavanakka was an important staging system and Mercomesier a vital station system in Placid – both were taken by the squids, which hurt militia morale and our revenue source, as our tier level dropped to T2. Then our siege of Aivonen failed miserably due to low participation and a strong defence and committed deplexing by the Caldari. So we needed to hit Squids where it hurt! CZ: Glitch, CalMil guys, when did you get wind of the attack? Did you see it coming? Glitch Lampshade [DISTN]: Well, we didn’t really see it coming, at least not that it would be over this quickly. They must have planned it pretty thoroughly – they had a citadel in system that was well stocked, and phenomenal numbers. At that point there was not that much we could do – if there’s 130 people in system and only 30 or 40 CalMil after calling on everyone you know, it’s game over. Myra Stark [BLOC]: The notification was late – we heard about it on the evening of the 26th. In addition, we discovered in our coalition huddle that ships stocks in system were already 90% expended. Despite having two GalMil citadels in system, the residents had not stocked enough ships to fend off the full assault, even though the citadel’s presence indicated it was imminent. In the huddle, everyone agreed to defend the system and BLOC tapped into the stash of ships we maintained in system. We started jumping in additional ships but the fleet was in a rough spot outnumbered 30 to 45+ most of our prime EUTZ. MantelGlobalIndustries [HECON]: I actually suspected something was going to occur when Okkamon was constantly at 15-20%. It reeked of stealth plexing and probing of defences and attitudes towards defensive plexing. I mentioned this to leadership and emphasised the importance of keeping it sub-zero, but was out of game for a while after that. CZ: So the citadel really was vital to the siege? Glitch Lampshade [DISTN]: It was. Of course we realized that an enemy citadel in our home system would be problematic… In fact, we had blown up GalMil citadels before. This time, however, it was only vulnerable in our weakest timezone, and we simply weren’t able to stop them from onlining it – let alone kill it after the fact. That citadel made us lose the home advantage, which having the stations traditionally gave you in Faction Warfare. Anyone can online a citadel in your system – even on an alt corp – and stage out of enemy space. This really is where citadels are breaking Faction Warfare. Kontraband Venning [BEBOP]: I disagree! The citadels are great. People can say what they want but for Faction Warfare I firmly believe they are a fight generator. With reshipping right in system, fights can happen back to back to back. Its an amazing way to play. The difference was not so much the citadel, but one side being better prepared than the other.The sheer amount of preparations we poured into the offensive no doubt dwarfs what CalMil did. Roy Henry [BLFOX]: The whole idea of being able to put your assets into an enemy home system not only removes all defenders advantage but also means that who actually owns the systems is irrelevant as you can just hop to a citadel if you think you will lose space. Most all Gallente home systems are picked because they are beachheads isolated from attack on one or more sides. So yes, it breaks the Faction Warfare meta. Myra Stark [BLOC]: Deployment of a citadel in a station system destroys all the defenders advantages in Faction Warfare system fights. Stocking and resupplying a Citadel is as easy as stocking a NPC station. Reshipping in a citadel is as easy as in a station and, most importantly just as fast. Citadels, unlike reshipping POSes, can be made virtually invulnerable to attack by just choosing difficult vulnerability times. If you miss the repair timer after a citadel completes anchoring, they are exceedingly difficult to remove from system before the assault begins. As Okkamon demonstrates, they were not designed with Faction Warfare system sieges in mind – despite massive feedback from the community. CZ: Looks like lessons need to be learned here in terms of what an enemy citadel in your home system means. It also sounds like the citadels were not the only reason why CalMil was beaten so quickly and soundly, though. What about the fighting itself? GalMil dominated in numbers, but not in all timezones and not by a huge amount. It looks like CalMil was also thrashed a couple of times by bad choices in the doctrines we fielded? Glitch Lampshade [DISTN]: For me, it came down to pure numbers and excellent GalMil planning. As for the numbers, CalMil just does not have the active PvP pilots GalMil has. I suppose we have more people who are content to farm plexes for LP than people who want to actively fight people. Roy Henry [BLFOX]: I think there was more to it than that. The defenders clearly did not have the fleet comps required for the plex fighting we were doing. Also, it was obvious the CalMil FCs did not understand the basics of a Faction Warfare siege, both on the field, and in terms of the huge level of logistics that makes up the backbone of a siege like this. Logistics wins wars! Peldar Aldoras [GMVA]: So with the odds leveled by the citadel, we got to see the real picture. What doctrine works against which, what team is faster, stronger, more committed. Who can focus on the fight and not fight among themselves when it matters. Who understands that you have to try something else if a doctrine (Coraxes?) doesn’t work as intended. That is an opportunity to learn because there are less outside factors which could muddy the view. 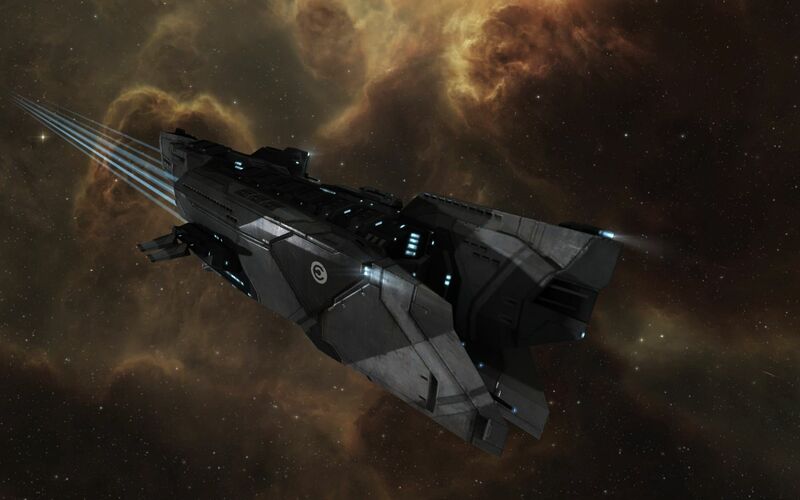 CZ: Fielding Corax fleets like that was a surprise for me as well, I have to say. What happened there? Yuri Antollare [BEBOP]: Well, CalMil generally copies our good doctrines (Armor Algos, Armor Tristan, Derptron) which is fine but it leaves them a step behind when we roll out new ones. In Okkamon we used Punishers and Coercers heavily and squids seemed not to have any answer, at one point losing about 60 Coraxes in close to an hour to our Coercers! Myra Stark [BLOC]: Well, system assault against a home system requires a massive logistical effort consuming both time and billions of ISK. The CalMil residents of Okkamon simply had not stockpiled enough ships and variety of fleet comps to properly defend their system. The CalMil Coalition moved immediately to make up the shortfall but we fell short. As a result, we took excessive losses, simply because we didn’t have enough ships or the correct fleet comp to counter a Gallente doctrine. And when that happens it inevitably depresses the numbers in fleet, as pilots leave fleet losing faith in the FC or the fight. Fenris Dallocort [GMVA]: That sounds plausible, because I felt that in the past few months, CalMil had made tremendous progress. They had made friends in lowsec, defended their own citadels, started pushing systems, and fielded high end comps such as Rattlesnake fleets and Ferox fleets to match ours. After successfully defending Aivonen and taking Pavanakka, CalMil must have become lax – and in Okkamon in particular we caught them off guard! CZ: Enough about the past! What does all this mean for the future of CalMil and the Caldari-Gallente warzone as a whole? Glitch Lampshade [DISTN]: Who knows, really? The next iterations of citadels, and of course the arrival of Alpha clones in November, may change the landscape drastically. CalMil may be able to turn things about. Distortion will be taking a break from it all, we just joined CO2. Amplified alliance crumbled after we lost Okkamon, with some corporations going pirate and others moving to nullsec. Bad news for the CalMil EU TZ, for sure. Myra Stark [BLOC]: For CalMil, lessons were re-learned. Hopefully everyone will take them to heart and put in a better showing next time. The Gallente have their victory and that’s all that matters. You have to tip your hat to them; it was well done. Peldar Aldoras [GMVA]: When we heard the news that corps started leaving CalMil we were shocked. We did not expect that, and we did not want that. We thought CalMil was coming back big time, and we were looking for action, but now winter is coming; and no content. Kontraband Venning [BEBOP]: I sure hope to see Squids build back up, and for us all to get right back to trying to rip each others throats out. Having Amplified leave the war zone is the opposite of what most people would like to see. Less content is never a good thing. I’d like to think Alpha clones will bring a whole fresh group of players interested in the fast paced, easy-to-find content of the war zone, but who knows. MantelGlobalIndustries [HECON]: With the collapse of EU TZ in CalMil, it is likely that we will lose Tier 2 soon. What that means for CalMil is that we will have farmers all over our systems and it’ll be harder to recruit new pilots and corps into a losing militia, as no-one desires to join the losers. In regards to the Alpha clones, it depends on how many sign up and how many gravitate to the Militia. As for where CalMil goes next? We do what we have always done: endure. CZ: Exactly. We will endure, and we in Black Shark Cult will definitely do our part to Make Caldari Great Again… Thanks to everyone who participated in this interview, and see you all on the battlefield!